it’s pretty hard to think of a cooler silhouette for summer. 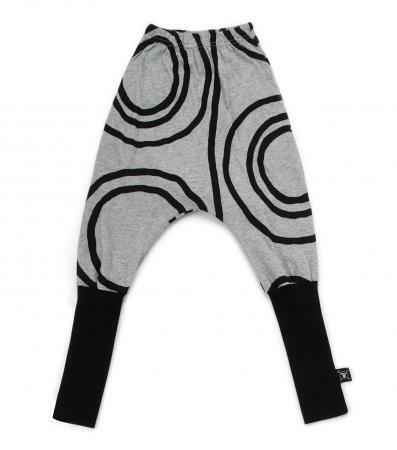 the heather grey circle donkey pants combine the snugness of leggings at the bottom, with the slouchiness of a drop-crotch harem shape at the top. 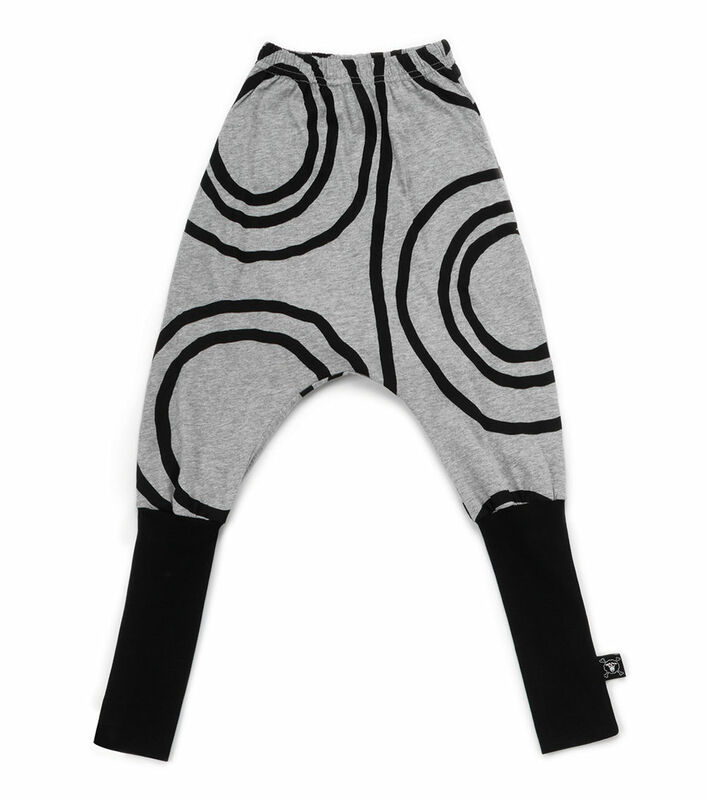 solid below the knees, they showcase our modern concentric circle design, a collaboration with artist shay id alony.